Zander Cannon and myself (Maxeem) have officially initiated the fantasy book challenge – it’s the race to end our Giant Fantasy Epics before the lesser man. Only 200-300 pages in about 3 chapters to go! After the race to end our fantasy epics ends, Kevin has initiated the race to grow a Z.Z.Top worthy beard. MPLS jam this THURSDAY–December 3rd! Our 7th glorious year! 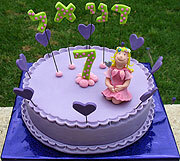 That’s right–The INTERNATIONAL CARTOONIST CONSPIRACY turns 7 THIS THURSDAY!!! And just look how big it’s gotten–It’ll be a damn, unruly teen before you know it. So come on by, do some drawing, have some cake, watch everyone cry when Zander tells us how much his comic writing class hated our pages from last month, and be sure to make your checks out to “Cash c/o Danno”. Here is a list of upcoming cartooning awards, courtesty of the Association of American Editorial Cartoonists. 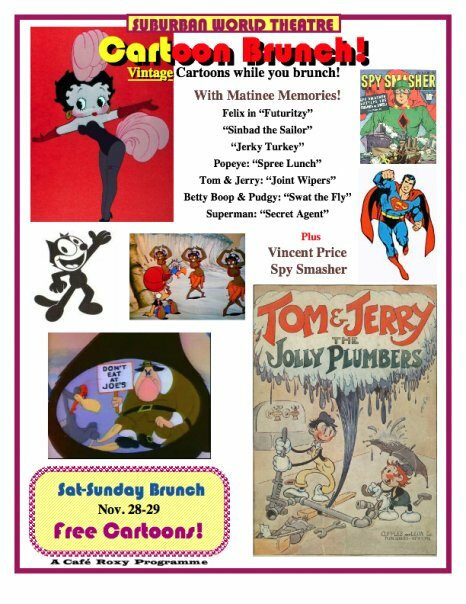 Free Vintage Cartoon Brunch at the Suburban World Theater in Uptown Minneapolis This Weekend! Attend anytime from 9 am to 2 pm. Watch free cartoons on a giant movie screen while you eat brunch. The eggs, etc., are very good, and they offer full bar drink specials. David Mruz helps keep the films running smoothly! Film maker and former owner of Comic Outpost in San Francisco created this short documentary about 24 Hour Comic Book Day 2009 in San Francisco. The documentary was filmed at Comic Outpost and Mission: Comics and Art. There are tons of CCSF artist on hand so give it a look and let Gary know what you think. The video does not seem to show up in the post so visit: 24 Pages from Gary Buechler on Vimeo. Mpls. Sat. Open Studio, Nov 28, noon to 4 p.m.
Take a break from Christmas shopping and stuffing your face with leftover Thanksgiving turkey. Join us for drawing and socializing at Minnesota Center for Book Arts. St. Paul Cartoonist Conspiracy Jam! This Thursday, November 19th, 2009! The jam will start promptly at 6:30 and run until…whenever. Come earlier to reserve your space! Seating can be limited at times! Hey all, looking for a one-of-a-kind Holiday Gift? 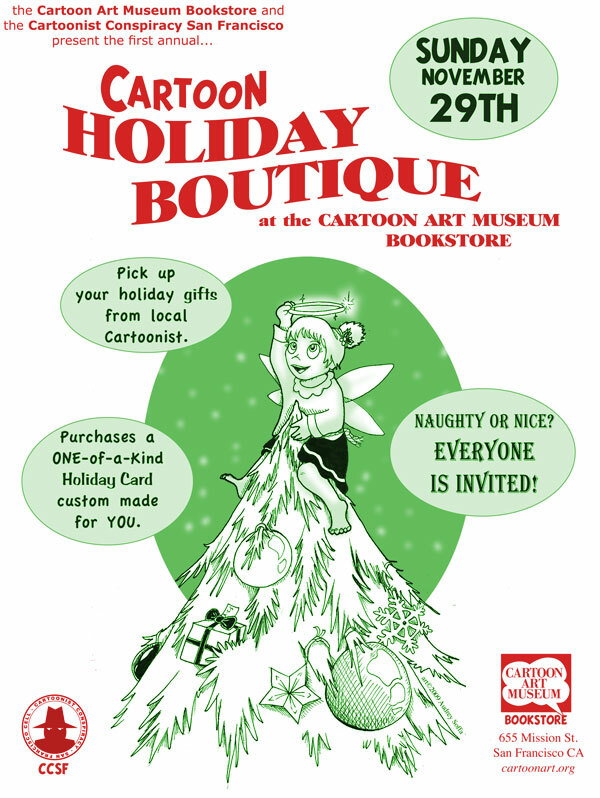 On Sunday November 29, 2009 artists will be on hand at San Francisco’s Cartoon Art Museum Bookstore for their first ever ‘Cartoon Holiday Boutique’. Partnering with the artists from the Cartoonist Conspiracy San Francisco, they will create original one-of-a-kind hand made cards, artwork and gifts at reasonable prices. The event will feature 5.5″ X 8.5″ greeting cards and 8.5″ x 11″ artwork originals for sale as well as locally produced zines and comics and other treasures. Imagine giving the gift of original artwork that is custom made for you in a very short time. So come on by between 11:30 am and 5:00 pm and find something special for that someone special. Looking for a one-of-a-kind Holiday Gift in the San Francisco Bay Area? On Sunday November 29, 2009 artists will be on hand at San Francisco’s Cartoon Art Museum Bookstore for their first ever ‘Cartoon Holiday Boutique’. Partnering with the artists from the Cartoonist Conspiracy San Francisco, they will create original one-of-a-kind hand made cards, artwork and gifts at reasonable prices. The event will feature 5.5″ X 8.5″ greeting cards and 8.5″ x 11″ artwork originals for sale as well as locally produced zines and comics and other treasures. Imagine giving the gift of original artwork that is custom made for you in a very short time. So come on by between 11:30 am and 5:00 pm and find something special for that someone special. I-CON is this Saturday, November 7th, from 9am to 5pm in Altoona, Iowa (just outside Des Moines) . The Mpls/Stpl cells will be there–represented by RYAN DOW, DANIEL J OLSON, DANNO KLONOWSKI, and KEVIN CANNON. We’ll be offering our own works, as well as the fabled BIG FUNNY! So, stop on by if you’re local, or drive for several hours if you are not. See you there!